The GIP Essentials Curriculum provides all the “essentials” for girls to discover their potential through GIP’s specifically designed program; empowering young girls in high-risk environments. Inside every girl lies something hidden; an unseen potential waiting to be discovered. The GIP Essentials Curriculum fosters a loving environment supported with mentors and peers; cultivating the meaning of “sisterhood.” Workshops are designed around the world of arts. Complete with opportunities for youth to tap in to their potential through self-reflection and self-expression workshops. Girls develop independence self-esteem. They get to make “choices” and feel empowered through their experiences in self-guided one-on-one experiences with mentors. The GIP Essentials Program & Curriculum creates the opportunity for an experiential learning experience; whereby a girl’s learning is determined and controlled by her. 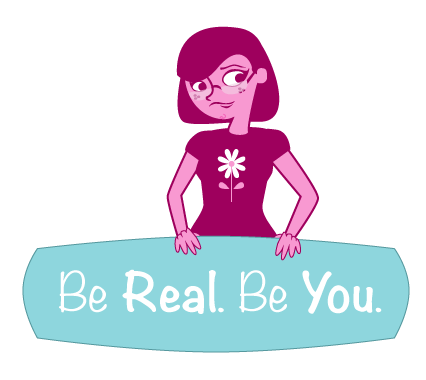 The GIP Essentials Program emphasizes a girl’s perspective. This enables girls to access their personal feelings of confidence, fulfillment, sense of purpose, and belonging from within. The GIP Essentials Program curriculum promotes a healthy self-image. It teaching daily habits and a positive lifestyle that benefits a youth’s self-esteem and empowers a purpose driven individual. GIP incorporates the 40 developmental assets using a skill building approach through workshops youth learn essential skills in the areas of arts, wellness, intention, and community. The GIP Essentials Program prepares youth to live life to their full potential through a positive approach. GIP is building thoughtful, purpose-driven youth across all socio-economics and provides girls in high risk environments, with a road map for success; throughout their lives. GIP leaders teach a positive mindset. This allows young girls to learn early on how to turn their dreams into their reality. The GIP core program themes are self-awareness, self-management/self-respect and empowerment. Girls graduate the GIP programs with a passion for life, showing the world what they can do! GIP Essentials Program Graduate Girls are invited to enroll in the GIP Leadership program. Programs are offered at the GIP site in Westlake Village, Yogaworks facility and are also available to fit within your organizations needs and current programing timeframes. GIP Essential Programs consists of workshops, which is offered over a 6, 8 or 10 week session and are broken down in to weekly modules. Girls meet one time a week for 2 hours at time, with their peer group and mentors. In addition, a mentor is provided for every girl in the program. An online GIP Essentials Program Teachers Training course is scheduled to be released in late summer/early fall of 2014. A GIP Certification for Teachers and Mentors will be made available for interested and pre-qualified teachers and mentors. The Certification Course will be accessible online and consist of a member’s area with downloadable access of quality recordings of the trainings, transcripts, and slide presentations. Additionally, you will be given a step-by-step printable handout, designed to show you how to implement the Girls in Power strategies in each weekly module throughout the workshop series; being taught to girls. This training will enable schools and organizations, outside of the current GIP service area, to host a GIP Essentials Program. Certification to you or your organization will ensure GIP standards are followed and the integrity of Girls in Power’s mission is maintained. To sign up for more information please send an inquiry to info @ girlsinpower.org.